When Nissan first unveiled its self-parking chair that scooted itself in to make a room or office neater, I thought that it was pretty off-the wall. I get that it was a way for the automaker to promote its latest piece of self-driving technology, but was it something that was really necessary? If you can’t scoot in your own chair, that’s just the epitome of lazy. Well, Nissan just unveiled another innovation, called the ProPILOT Chair, that demonstrates the autonomous ProPILOT technology installed in Japan’s latest Nissan Serena minivan. 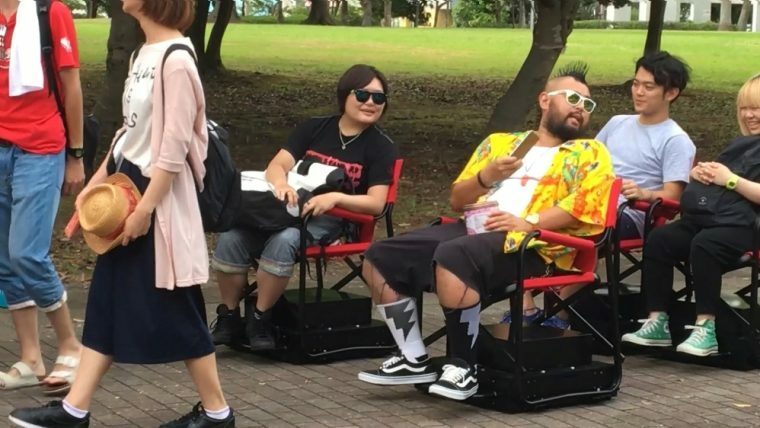 The Nissan ProPILOT Chair is described as an “autonomous chair for people who can’t stand waiting in line”. The chair uses sensors to detect when to stop and move based on what’s in front of it, much like how the Nissan Serena can handle traffic in a single lane. When used in a line, the chairs can move themselves forward in line so that the occupant can read or otherwise ignore how fast the queue is moving until it is their turn. Take a look at the video from Nissan below to see the new technology in action. Did anyone else think of the 2008 Pixar film WALL-E when watching this video? Readers that have seen the movie will remember the pivotal scenes when robot WALL-E meets the humans of the future, and they’re all so heavy that they rely on their hovering chairs to carry them place to place. If you don’t remember, check out the clip below. While the previous chair made me think of Mary Poppins snapping her fingers to tidy a child’s room, this device seems to be a little less fun. I completely understand that lining up can be very boring and annoying, but it is rarely physically exhausting. However, I guess that if it makes waiting in line easier, maybe it’s just solving a problem I didn’t know I had yet.